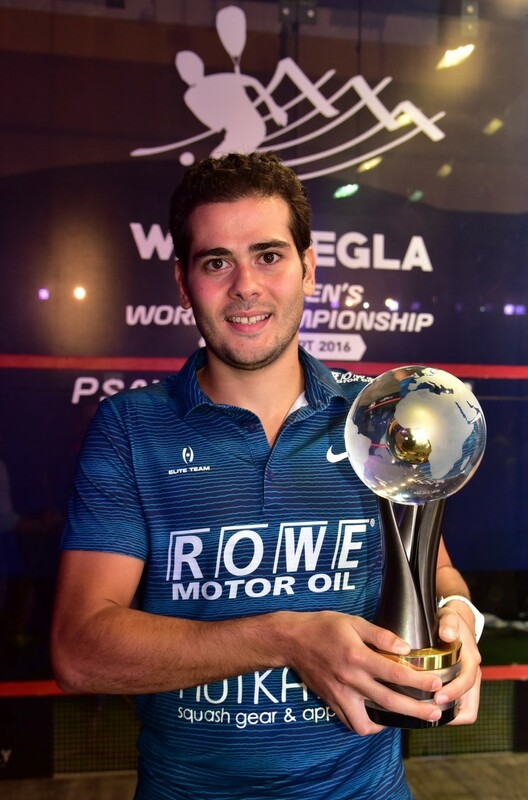 Egypt’s Karim Abdel Gawad is the 2016 Wadi Degla PSA Men’s World Champion after his final opponent in Cairo, three-time winner Ramy Ashour, was forced to retire in the fourth game of their after a another episode of the injury jinx that has ravaged the last two years of his career. 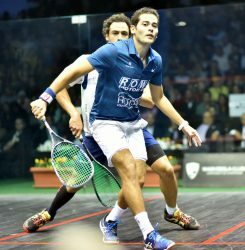 Gawad, the 25-year-old World No.3 from Giza, fought back from a game down to go 2-1 up after in front of a packed and vociferous crowd at the Wadi Degla. 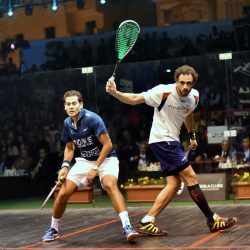 But, just two years after he marked a return from six months on the sidelines by taking the 2014 World Championship title, Ashour was unable to repeat the feat as, at 2-1 down in the fourth he suffered another injury, and after a thre-minute break was unable to continue the match. 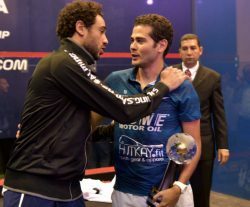 Gawad becomes only the third Egyptian to hold the sport’s most illustrious title after Amr Shabana and Ashour himself. “I still can’t believe it,” said Gawad. “It has been a very long week, I didn’t have a good start, but I think I had good performances this week. 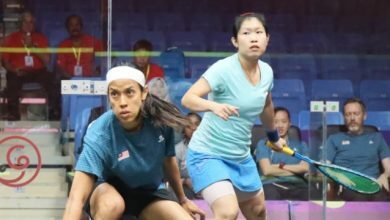 I’m grateful to my team as I was able to get back on court today after my match yesterday. “I need to thank my parents, my father, my mother, my sister and my fiancée, who support me always, and came this week to help me win this. Also, my coaches, Omar Abdel Aziz, Mohamed Abbas, and my fitness coach, Ali Ismail. 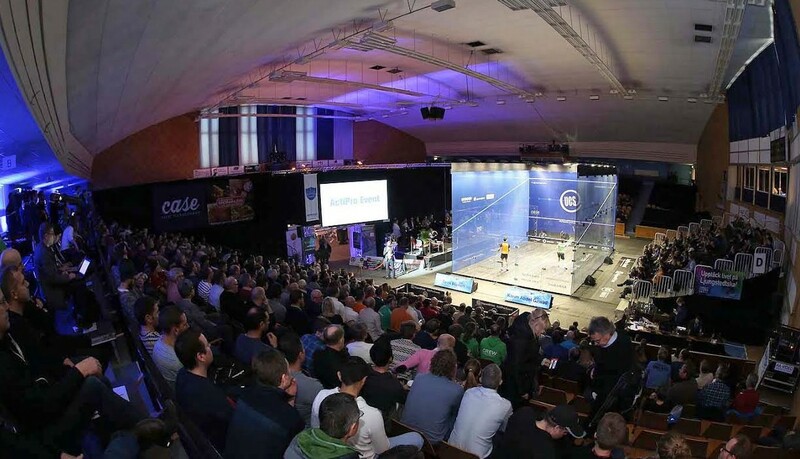 The results I had this season are 50% my work, but 50% their effort, and they work hard to keep me fit and allow me to recover between tournaments when we have a very short time between events. 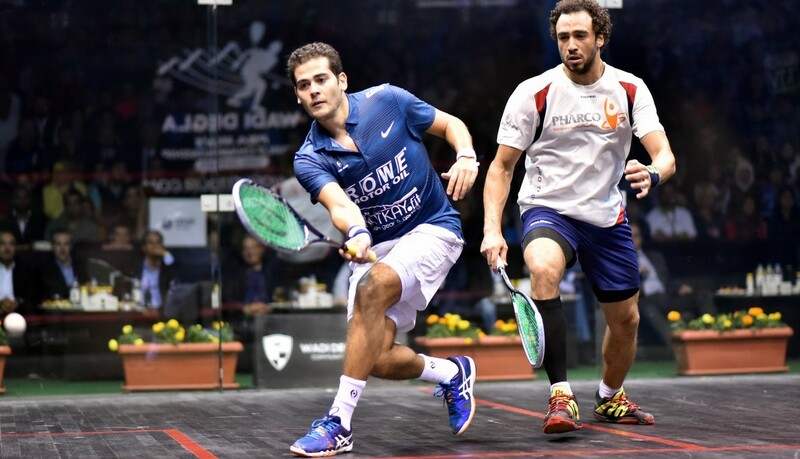 “I feel very sorry for Ramy for having the injury again and not being able to complete the match today. He’s a great ambassador for our sport and we are all happy to have him around at the tournaments. Ashour said: “It was an honour to play this week, I’ve been through a lot, and every time I fall down I learn. 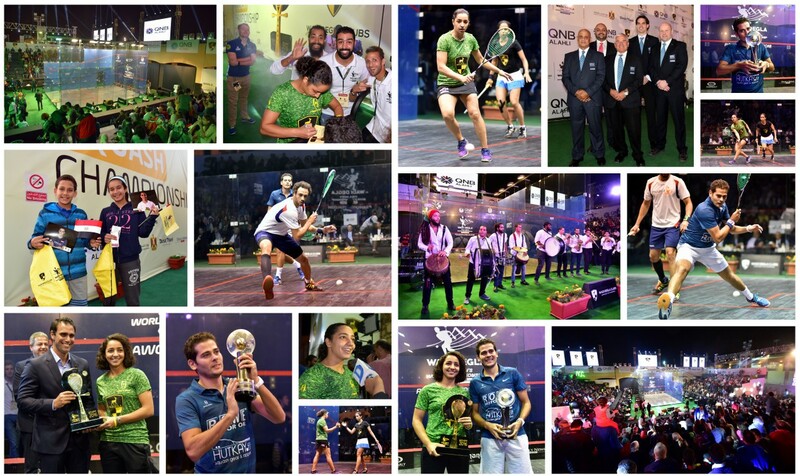 The women’s Wadi Degla Open title was claimed by Raneem El Welily as she beat compatriot and fellow Wadi Degla member Nouran Gohar in four games.